Noh Seung-yul is just 20 years old till now, but he had already achieved great in the world of professional golf. This Korean golfer was the winner of Order of Merit on Asian Tour and has now qualified for the PGA Tour in very young age. Here is the complete proile, career and records of this player is given. Noh Seung-yul is a South Korean professional golfer who won the Order of Merit on Asian Tour in 2010. He was born on 29 May 1991. Rookie of the year on Asian Tour in 2008, Noh turned professional in 2007. At a very young age he become the top golfer of Asia. 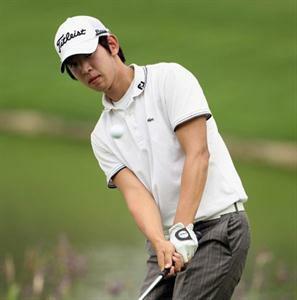 He has won teh 2005 Korean Amateur tournament and Korean Junior Amateur tournament during his Junior career. In 2008, he won the Midea China Class at Guangzhou (China) by beating Terry Pilkadaris with a score of 267. After winning the Maybank Malaysian Open in 2010, he become the second youngest golfer to win a European Tour event as the tournament was co-sanctioned by Asian Tour and European Tour. He came into spotlight when he become the winner of the Order of Merit on Asian Tour in 2011. Currently he become the member of the reputed PGA Tour due to his good performance. In 2011 PGA Tour Qualifying School graduates, he was Tied on 3rd position and making him Qualified for 2012 PGA Tour. Noh played the Royal Trophy in 2011 representing Asia, but the team lost to Europe by 9-7. He also played all the major championships except The Masters. His first appearance in any major Championship was U.S. Open 2010, where he ended up on Tied 40th position. In the same year he Tied on 28th position in PGA Championship, which is his best ever result in any major championship event. In 2011, he improved his result in both U.S. Open and The Open Championship. He ended up on 30th position in both events.